Prefer a step-by-step guide? Try our attributes tutorial. There are 2 ways to use attributes after they have been set. Using a Get an Attribute action (the value will be in the output). 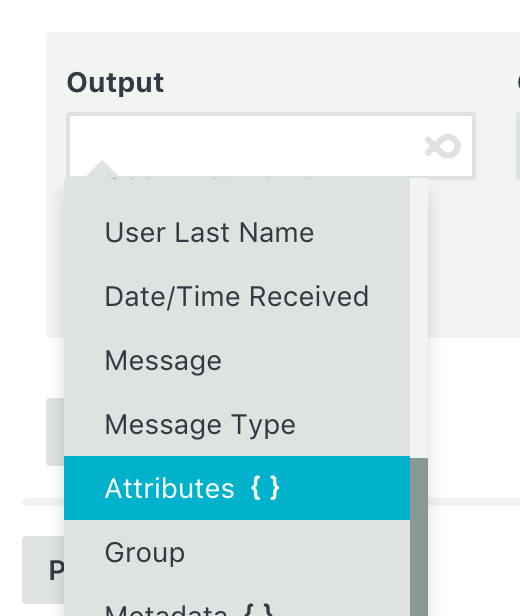 On bot triggers such as New Message or Catch-all, an Attributes output will include the names and values of any attributes set against the response path. You can use the Attributes output provided on bot triggers anywhere that you can use output data. This includes filtering, and as an input to other actions. The chances are, you already know the attributes that may be set. If you don't, take a look at the log to see what info you're getting through from bot triggers. Press <enter> when you're done to save the output into the field. 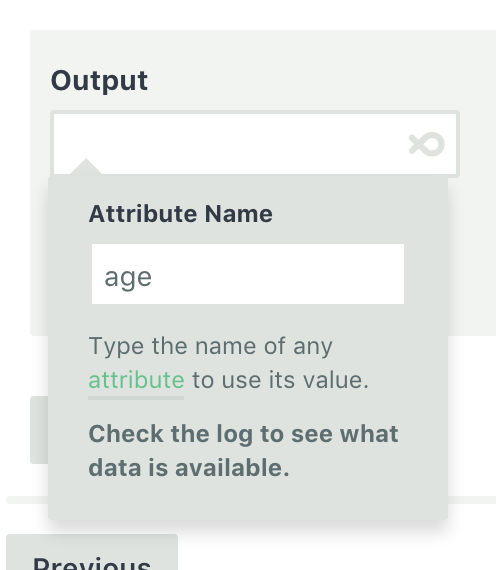 If the attribute age is found, then it will be inserted here when the flow runs. You don't need to know for sure that the attribute has been set. Like any other output, if the attribute has not been set or removed, it will simply be empty.